Last year saw a lot of trends that left a large mark on our collective fashion conscience—shell jewelry, skinny sunglasses, and beaded bags, to name just a few. And while every trend deserves its time to shine, there's something to be said for the pieces that transcend from a seasonal trend to a must-have closet staple. Enter the plaid blazer. Back in fall of 2017, the plaid blazer had its big moment; it was seen everywhere from the runway to Instagram feeds. Usually, we'd expect this type of standout piece to slowly fade from view and move to the back of our closets, but in this instance, the opposite happened. Plaid blazers have remained one of the most popular fall and winter staples, and we're here for it. 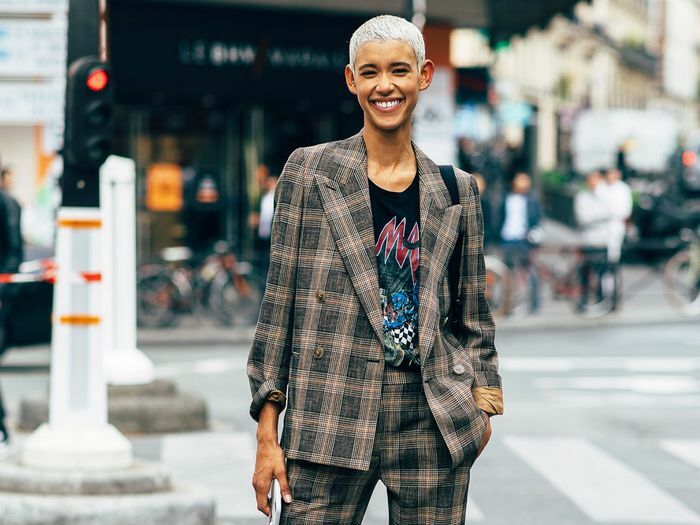 It makes sense that the plaid blazer would withstand the trend test—it's an incredibly versatile piece that goes with anything from a crisp white button-down to a slouchy graphic tee. And it's even perfect under a warm coat during the winter months ahead. All these reasons and more are why we'll continue to wear our plaid blazers through the seasons ahead. Keep scrolling to shop our current favorites that are guaranteed to complement your wardrobe. Polished with a unique twist. The name says it all. Paired with a silk top and your favorite midi skirt, this plaid number is perfect for your next date night. A silk blazer is beyond elegant. Clueless vibes with a posh touch. Under $50? You won't regret this purchase. Pair this with the matching pants for the power suit of your dreams. You can't go wrong with a traditional black-and-white plaid. How can you resist this one when it's 60% off? You can't. Perfect over your crisp white button-down or your favorite tee. There's a reason this is one of the brand's most popular styles. Obsessed with the blue leather tie detail. Red plaid is a classic. Yes, this blazer even goes with your favorite bike shorts. This one comes with a detachable hoodie for a more casual look. This lightweight option is guaranteed to fit under your winter coat. 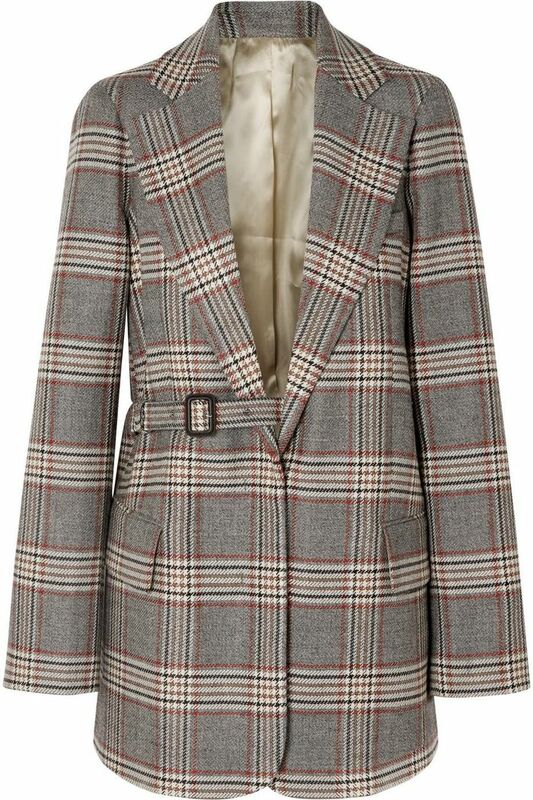 We love a menswear-inspired blazer. Looking for more wardrobe staples? Next up, four trends to skip to enhance your style.